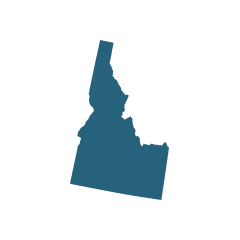 Idaho is a mostly rural state known for its agriculture and technological industries. Its Rocky Mountain terrain is home to naturally occurring asbestos deposits, while factories such as the Pacific Lumber Company, Micron Technology and Cascade Corporation brought industrial asbestos to the area. Several deposits were scattered across Idaho, including the former Kamiah deposit. The Kamiah deposit was the state’s only producing mine, home to brittle mass-fiber anthophyllite and tremolite. Other non-producing deposits were located in Clearwater County and Adams County. Idaho businesses, like businesses across the nation, used the toxic mineral in their daily operations, yet the state ranks low in the list of top states for related illnesses. Workers were exposed through machinery parts and insulation, as well as some final products such as construction materials and lumber. Exposure to asbestos can cause serious respiratory diseases, such as mesothelioma, asbestosis and lung cancer. The United States Geological Survey identifies several sites in Idaho where naturally occurring asbestos was identified. Most of the deposits are in the panhandle. In addition to the commercial mine at Kamiah, Idaho was home to the Blacktail asbestos prospect, the Orofino Creek anthophyllite deposit, the Teakean deposit, the Olson asbestos prospect and several unnamed occurrences in Adams County. Deposits in Idaho were found among host rocks such as talc, magnesite and iron oxide. When these minerals were mined, the accompanying asbestos may have been released into the air. Asbestos in its natural state also can become airborne from weathering. While miners may have been exposed in Idaho mines, other occupations also placed employees at high risk for exposure. With a booming science industry, chemical plants and technology factories are major employers in Idaho. Monsanto Chemical Plant and Idaho Chemical were two prominent manufacturers in the area that potentially exposed their employees in equipment and protective gear. Additionally, power plants such as the hydroelectric power plant at Pocatello may have contained the mineral in the air, soil and site machinery. Monsanto Co. and its spinoff companies have been named as defendants in multiple lawsuits totaling 570 accusations by 2003. While the Monsanto plants in Soda Springs, Filer, Nampa and Payette were not specifically named in these lawsuits, the company has notoriously exposed its workers to numerous environmental toxins, and workers in their Idaho branches were at high risk. The Western Equipment Company, also known as the Western States Equipment Company, was another Idaho job site where exposure led employees to develop related diseases. In 2011, a former Western Equipment forklift mechanic and equipment salesman who repaired the company’s machinery filed a lawsuit. As part of his job, he was required to clean and replace asbestos-laden brakes for Western Equipment forklifts. The company continued to use these drum brakes even though alternatives were available. Many victims of asbestos exposure in Idaho have turned to the court system to seek compensation for asbestos-related conditions like mesothelioma, asbestosis and lung cancer. 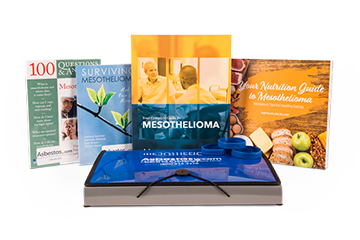 In March 2007, a jury awarded $35.1 million to John Davis and his wife after deciding the negligence of his past employers and two asbestos product manufacturers led to Davis’s mesothelioma diagnosis. From 1951 to 1955, Davis was regularly exposed to asbestos while serving in the U.S. Navy. He also suffered significant exposures at Shell Oil Company refineries from 1956 to 1963 and at the Idaho National Engineering and Environmental Lab (INEEL) from 1964 to 1976. Two defendants in the case, Leslie Controls, Inc., and Warren Pumps, LLC, sold asbestos-contaminated valves and pump components that Davis handled frequently in his line of work. Throughout his career, no employer, product manufacturer or physician warned him about the dangers of asbestos exposure. Davis’s employers provided no safety guidelines or protective equipment and failed to take any other measures to control harmful exposures. The jury returned a verdict in favor of Davis and his wife, assigning 16.6 percent of the liability to the U.S. Navy, Shell Oil and INEEL, and 7.1 percent each to Leslie Controls, Warren Pumps and five other manufacturers. Several defendants appealed the judgment, arguing that the award was unjustifiably large. The Court of Appeals of California agreed and reduced the amount of the Davis’ compensation. Another case, Waters v. Armstrong World Industries, was filed by the widow and survivors of a mesothelioma patient. The wrongful death case was filed on behalf of a former Waters Asbestos and Supply Company worker who died of asbestosis and lung cancer. The case was brought to the Idaho Supreme Court in September 1985. Precision Demolition and Abatement, LLC, was fined $36,000 by the U.S. Environmental Protection Agency (EPA) in 2009 for several violations of the National Emission Standards for Hazardous Air Pollutants under the Clean Air Act. Similarly, contractors at the Idaho National Engineering and Environmental Laboratory paid more than $160,000 in penalties in 2001 for violating federal emissions laws. The former Priest River landfill in Boise, which was polluted for years with chemicals, metals and asbestos, is currently being turned into a waterfront park under the State Department of Environmental Quality. The asbestos removal phase of the plan started in 2010. The former Meridian Creamery is also being turned into a new city-owned facility despite EPA studies that revealed limited asbestos use on the site. Medical researchers in Idaho are developing new treatments for the growing number of asbestos-related problems. In 2010 the National Institutes of Health (NIH) awarded Idaho State University a $191,962 grant to learn more about the cellular changes asbestos exposure can cause.